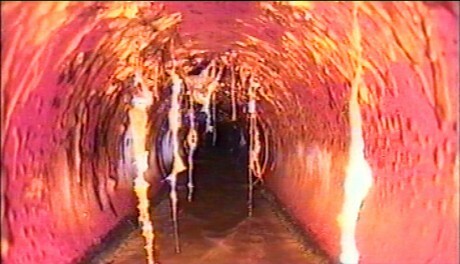 Economy of Excess is comprised of footage of the sewage pipes of Essex, shot by a small robot camera that is normally used to locate blockages. 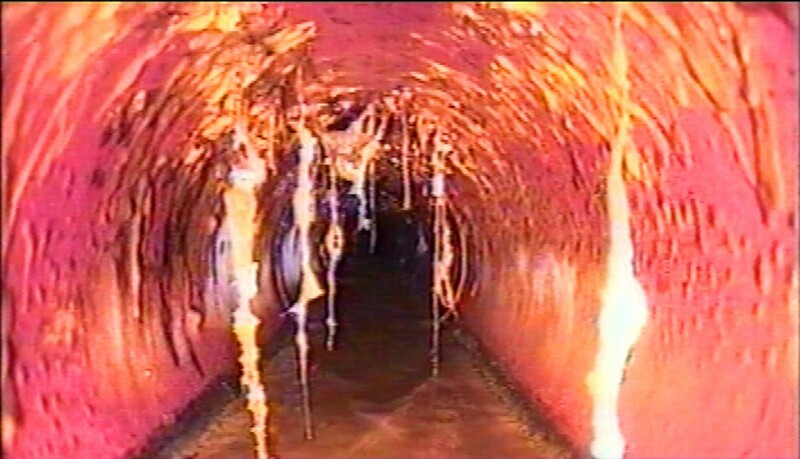 The film creates an entrancing movement into the ever-expanding circles of a subterranean parallel universe, which mutates into a hypnotizing voyage of impressionistic colour and light. Humble in its origins yet dazzling in its effects, this video epitomizes the way in which the work continually straddles the line between the sublime and the mundane, turning society’s excess into a spiritual initiation journey.